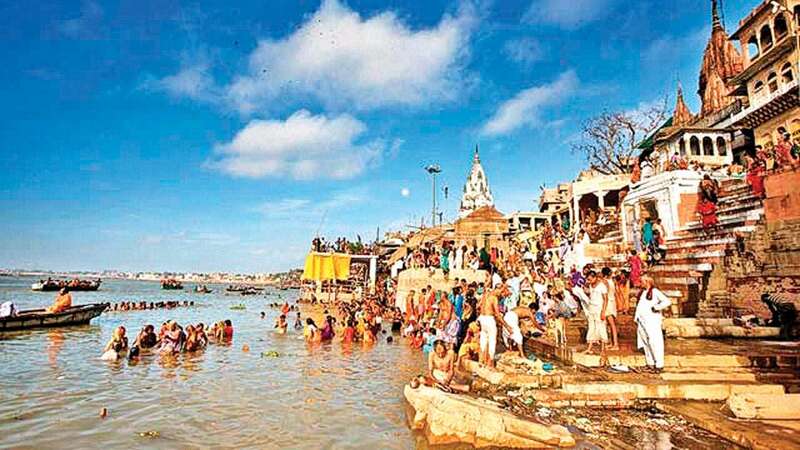 Union Minister for Water Resources, River Development and Ganga Rejuvenation, Road Transport & Highways and Shipping Nitin Gadkari has recently laid the foundation stones of four Namami Gange projects in Mathura having a sanctioned cost of Rs 511.74 crore. The projects comprises two sewerage projects which includes an integrated sewerage infrastructure for the city on Hybrid Annuity Mode with ‘One-City-One-Operator’ approach and reuse of treated sewage water in Mathura refinery at a sanctioned cost of Rs 460.45 Crore, and the second project is for rehabilitation of sewerage infrastructure and augmentation/upgradation of STP at Vrindavan at a sanctioned cost of Rs 33.82 Crore. The other projects include cleaning of 27 Ghats at a sanctioned cost of Rs 3.60 crore, and upgradation of infrastructure of existing CETP for Textile Printing units at the Mathura Industrial Area at a sanctioned cost of Rs 13.87 Crore.